A few weeks ago we assembled our first complete Amulet, ready for wearing! 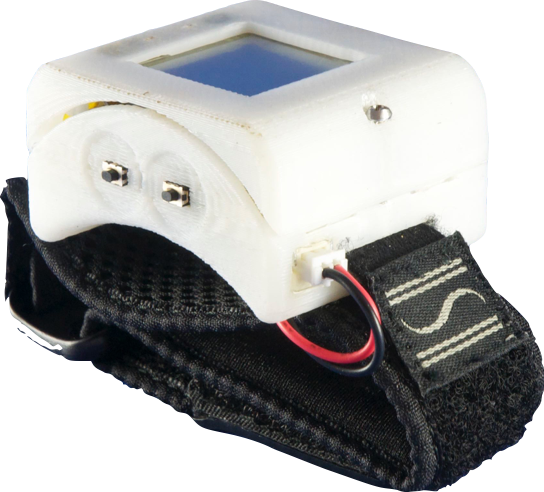 Here are a few shots so you can get a look at the case – which is mounted on a off-the-shelf wristband we hacked to encase the battery. On one side, a button and a scrollwheel. On the other side, two buttons. 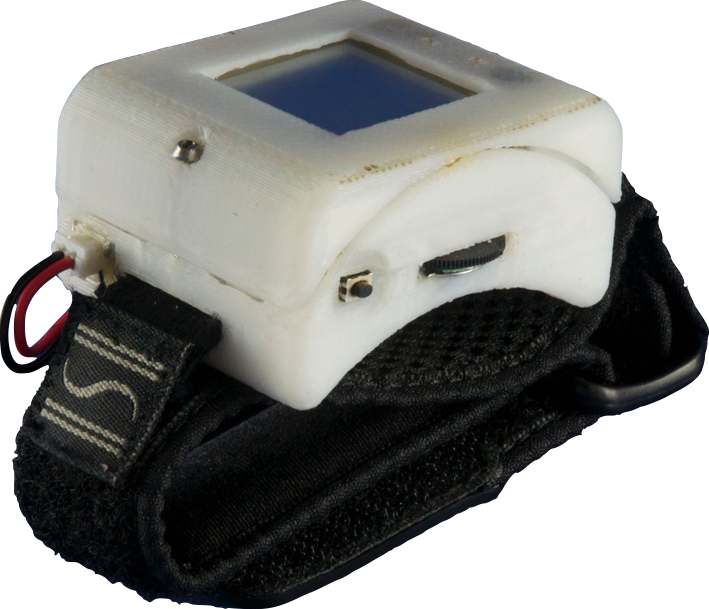 On top, a low-energy display (like e-ink). More pictures (inside the case!) below the break.